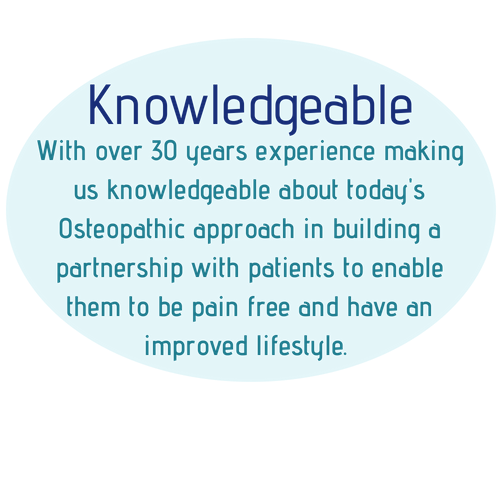 Louise Cameron DO, BSc(Hons), is an Qualified Osteopath with over 30 years of experience, now serving the Rushden and North Bedfordshire area. "I think of myself as a 'body mechanic'; treating aches, pains and trapped nerves. These can be caused by postural problems or acute incidents involving muscles, joints, ligaments etc". 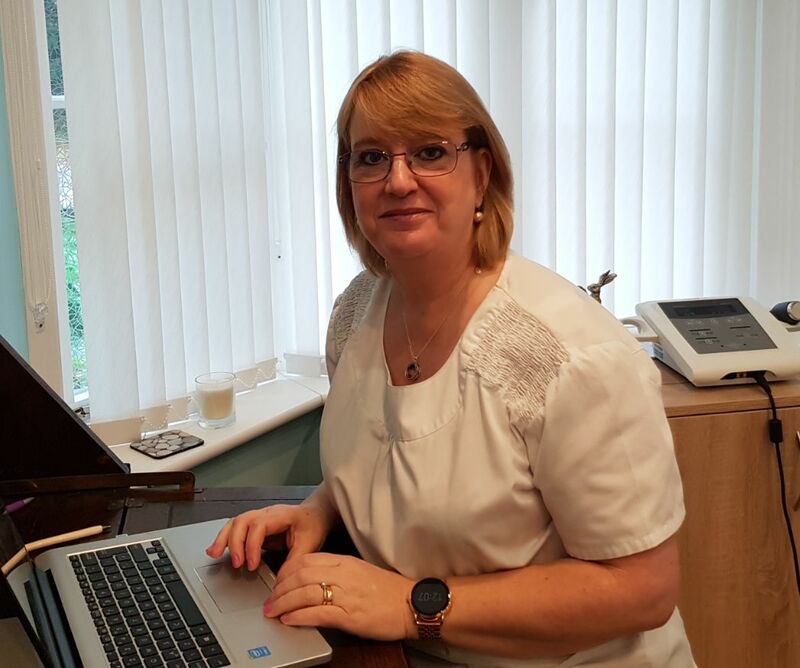 Louise Cameron is proud to give you the individual attention that you need to get the problem resolved. Each treatment is based on a treatment plan that I will discuss with you, so the treatment is tailor made for you. Louise Cameron is fully qualified and registered with The General Osteopathic Council (Registration No. 183), and The Institute Of Osteopaths and insured with Balens. Cranial Osteopathy is a refined and subtle type of osteopathic treatment that uses very gentle manipulative pressure to encourage the release of stresses throughout the body, including the head. It is extremely effective in treating a wide range of conditions in people of all ages, from birth to old age. 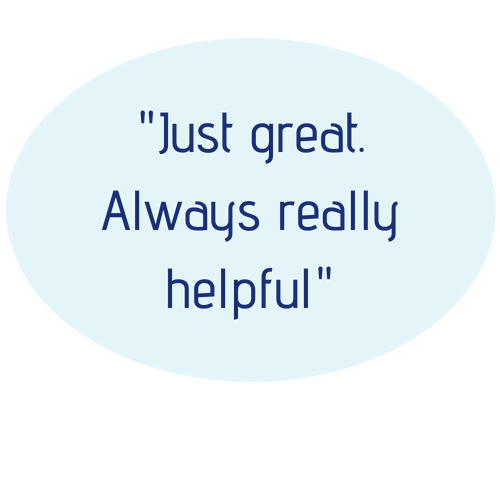 "I went to see Louise on Monday, the practice is a lovely environment, Louise so approachable, she asked me some really good questions and thoroughly went through everything before she treated me. She really put me at ease. She obviously knows her stuff because I now feel amazing! I am very impressed with this Osteopath and her knowledge and approach, and would definitely recommend her to others." "Louise always makes you feel at ease in comfortable surroundings. The treatments that I have had from her have had instant and long lasting effects. I would highly recommend her." "I have fibromyalgia syndrome and came to Louise on crutches, unable to walk unaided and unable to lift my arms up above my head. She is the first health professional who understands the condition and goes out of her way to not only treat the symptoms effectively and with care, but to keep up with disease developments and treatment suggestions. I now walk without crutches and can even go to the gym! I honestly couldn't recommend her highly enough! All Fibro Warriors in the area, you definitely need to book an appointment with Louise!" 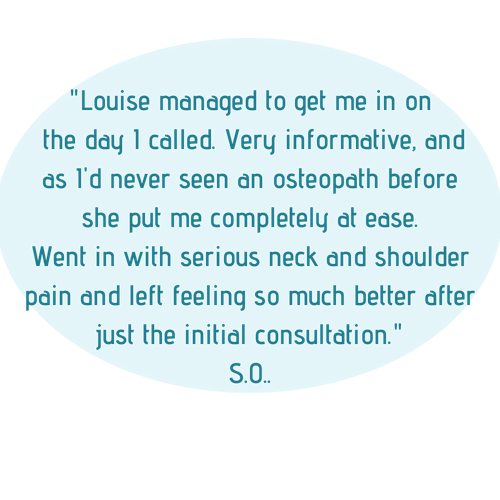 Louise Cameron Osteopath will hold your personal contact information securely. We will never give this to any 3rd party without your express and informed consent. In practice this tends to mean corresponding with your GP or discussing your case with another healthcare practitioner.